The time is upon us! And as teachers, you know what I'm talking about! Parent/Teacher Conference time is upon us. 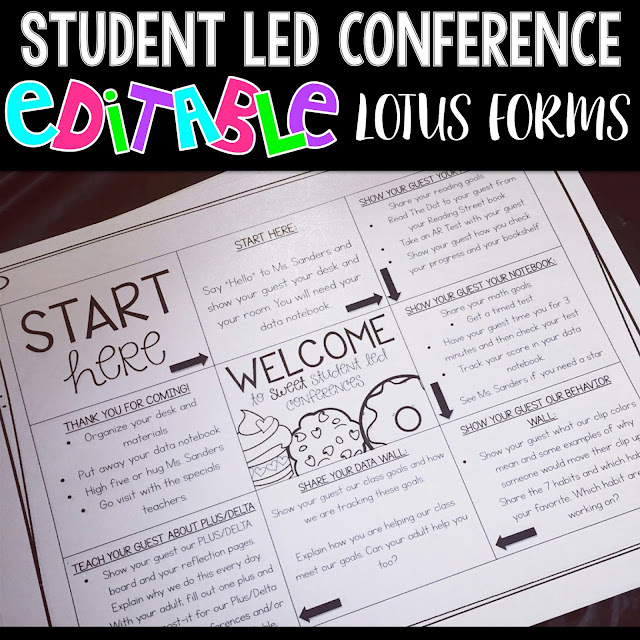 If you're here reading my little ol' blog, then you must be interested in student led conferences. 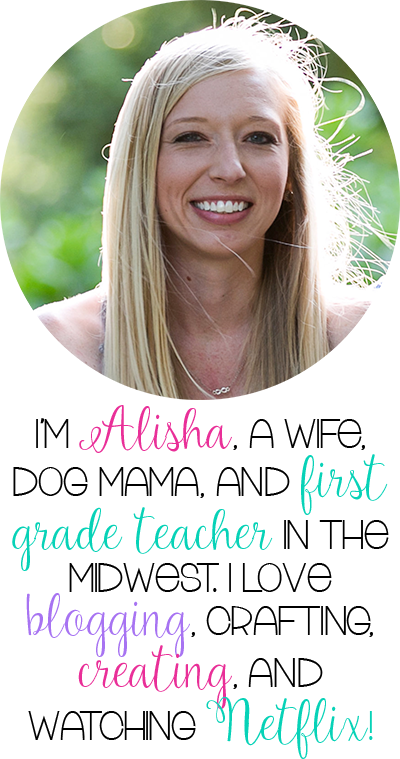 I blogged about this before at The Primary Pack and if you would like to read that post, you can click the link to take you there. 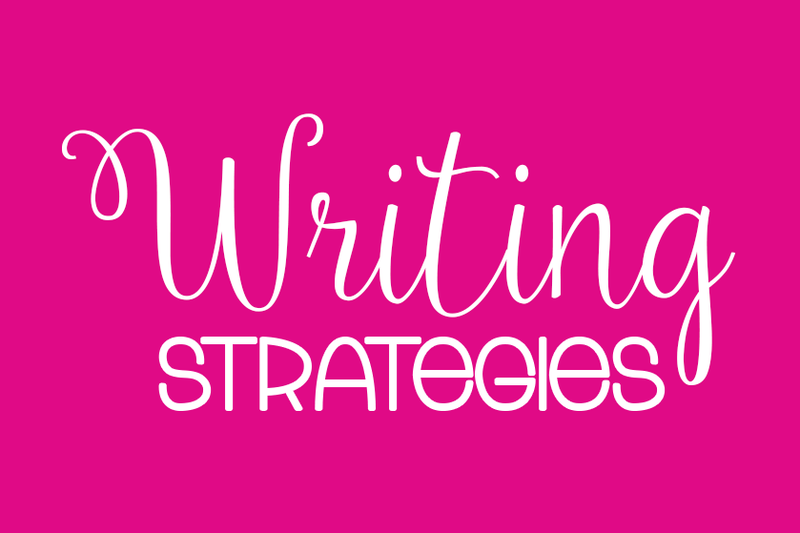 This post will have some old ideas, as well as some new ideas. 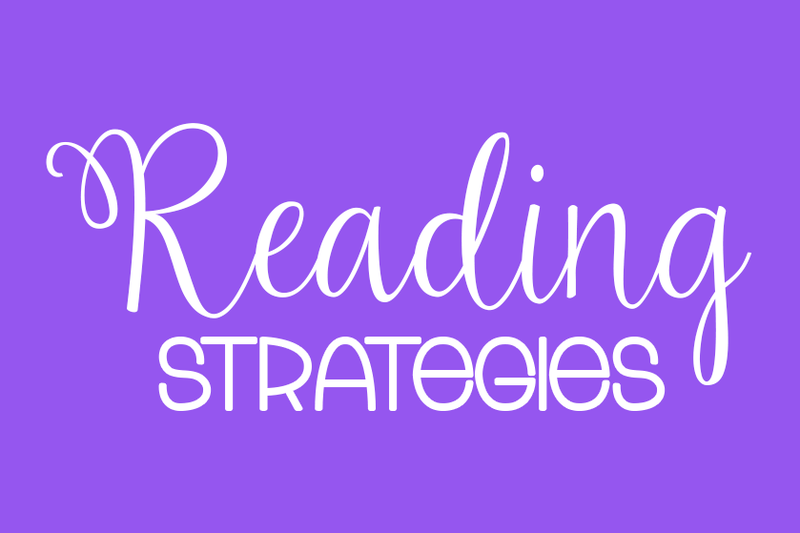 I'm sharing two different ways that I've held student led conferences. The first way is in my old school last year and the second way is my new school this year! What's interesting to me is how different both methods are, yet they are both student led conferences! 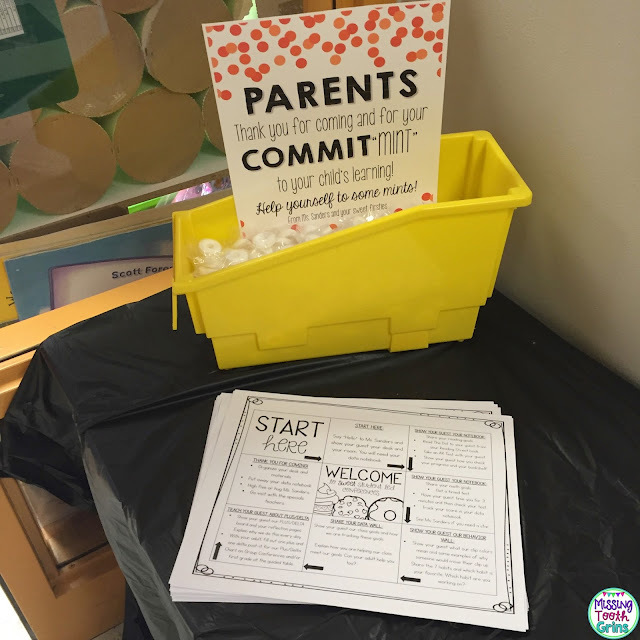 At my previous school, student led conferences were held just like parent/teacher conferences. You scheduled your parents, sat down with them, but their child led the conference. They mostly led them through their data binder and shared their successes of the school year. Parents really loved it. First, you'll need to keep a data binder for each student. If you already have a data binder, then boom you're ready! In this binder, you put... Data! Any data you find that your students' parents would like to see. 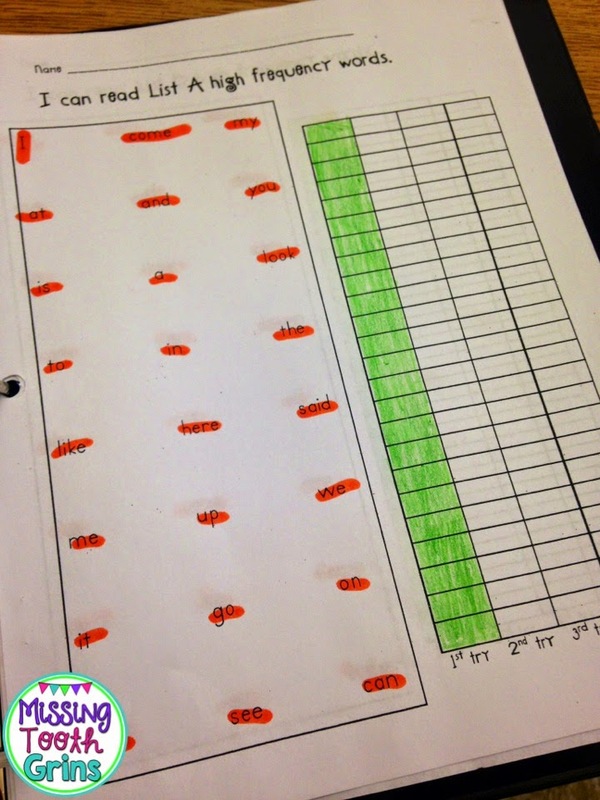 This quarter, the data in our binders included behavior, attendance, reading levels, and sight words. Typically, we would have math as well, but we didn't include any for this quarter. Now, remember... 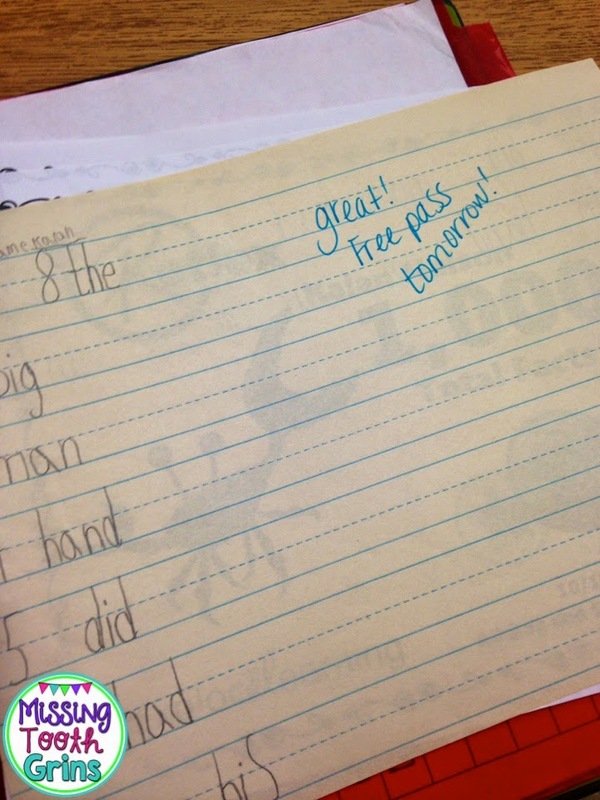 I teach first grade. This is how it worked for us. 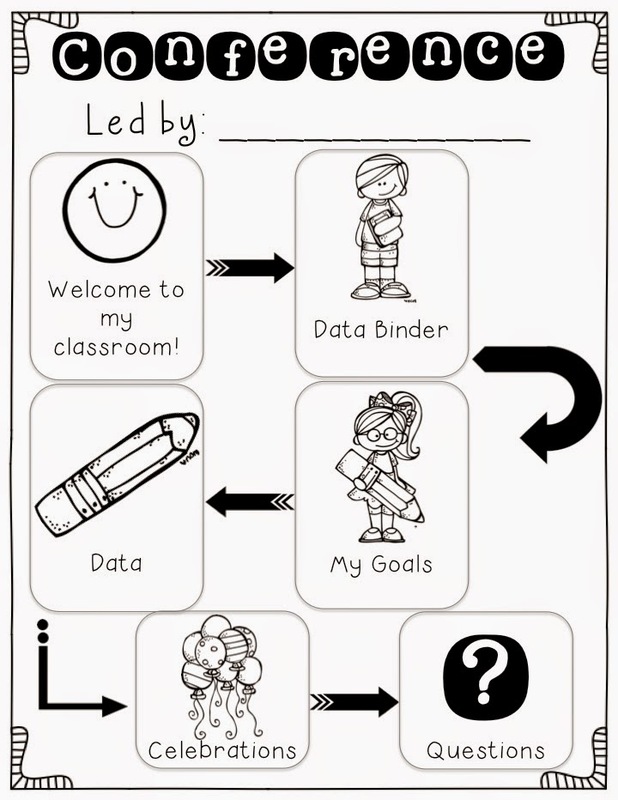 I'm going to walk through our data binders with you the same way I did with my kids. When teaching them how to lead the conference, I first modeled with an example binder. The next day, each of them brought their binders to the carpet and I modeled again with an example binder. I would say what I needed to say about a page, then the students would turn to a partner and share their page to their partner. The next day, our fifth grade buddy room came in and practiced with us. All of the practice really helped for the actual conference. I find it mandatory to conduct these mock interviews. 2. 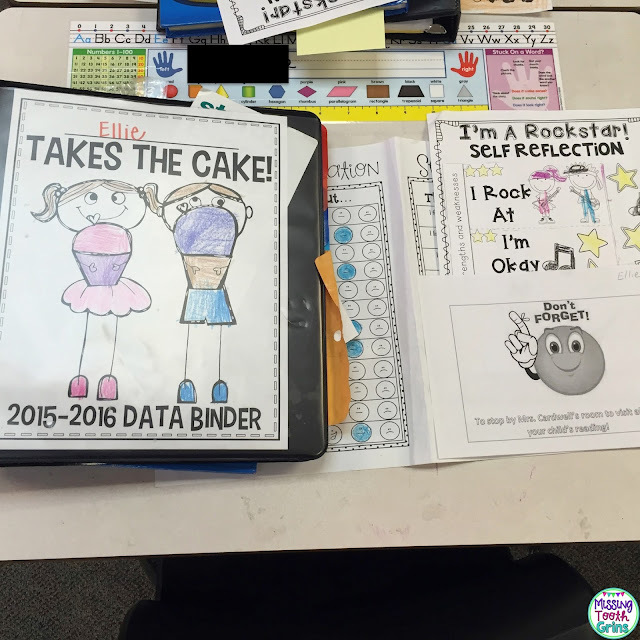 Data Binder: This is my data binder that I've been using all year to track my data. 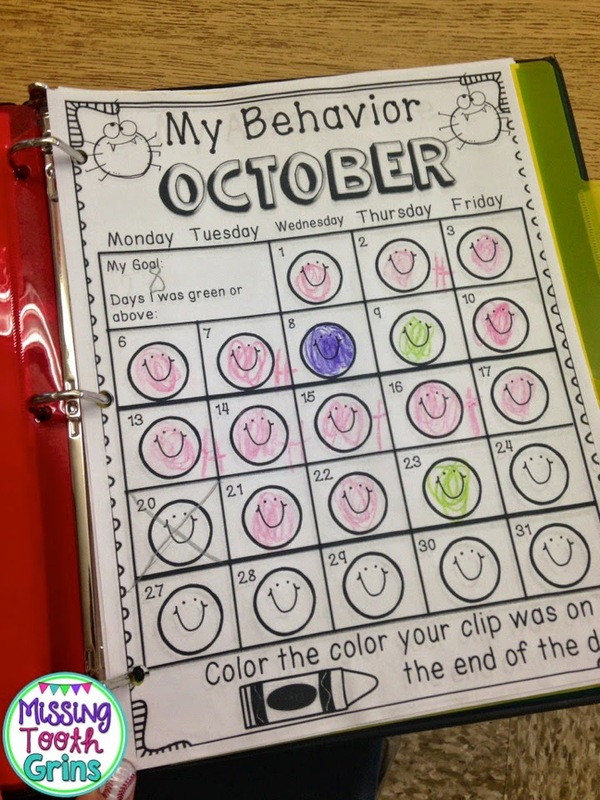 "This is my behavior chart. My goal was to have 8 days on green or above for October. I had 16 so I met my goal." 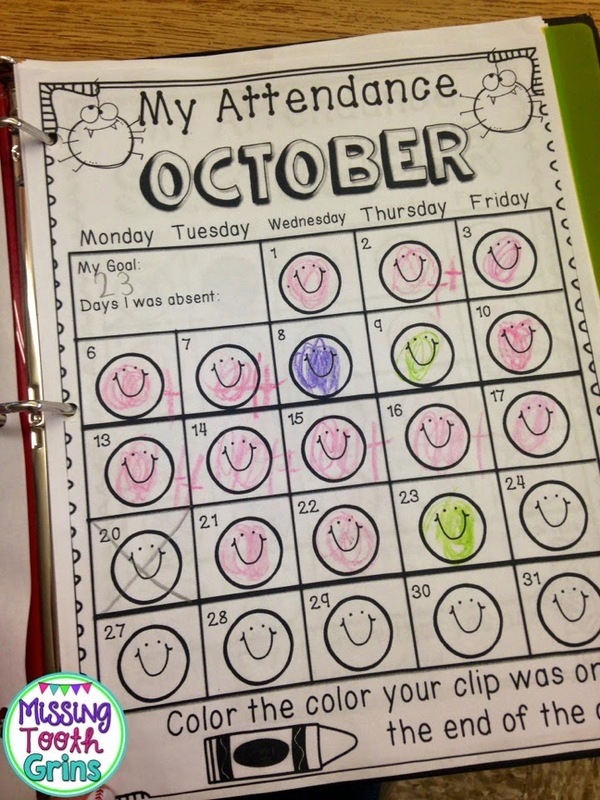 "This is my attendance. My goal was to be here 23 days and so far I have been here 17 days this month." "These are my sight words. 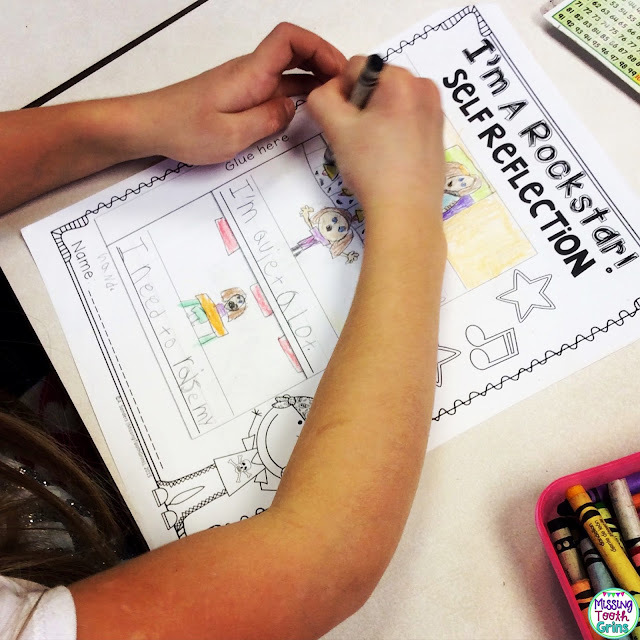 I am able to read all of the first list of sight words." 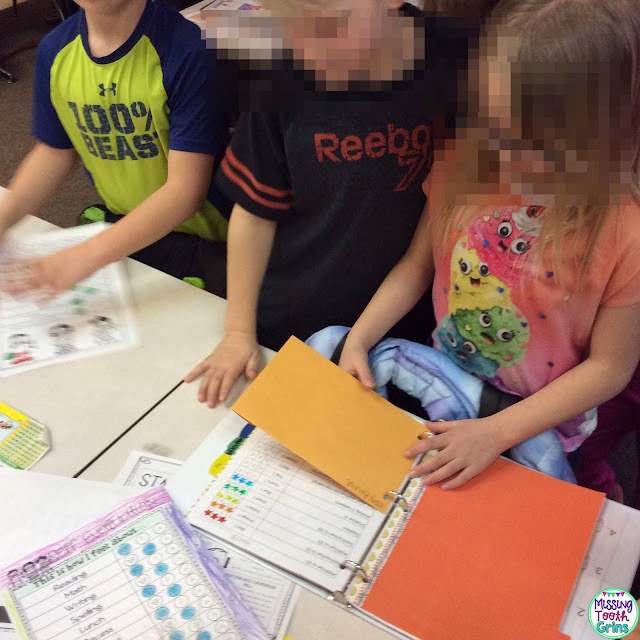 There are four lists so the students continued to show all four lists. 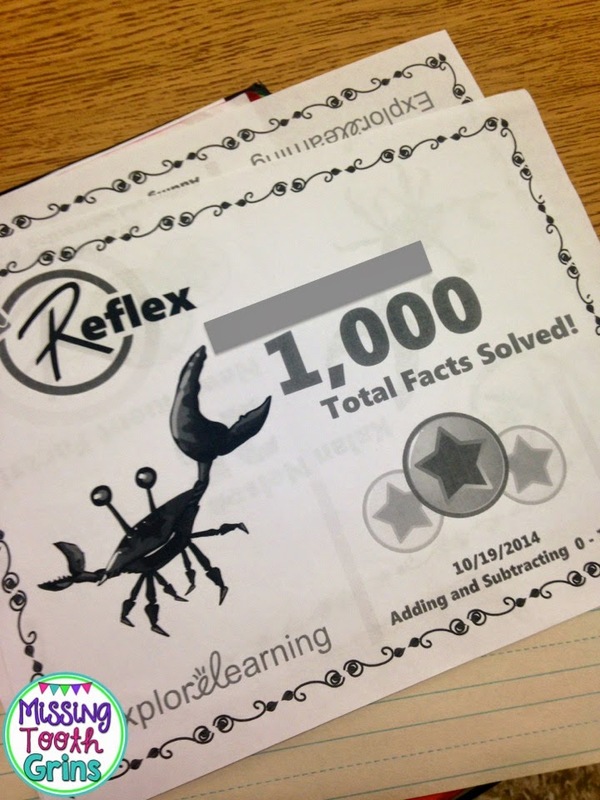 "This is my reading level. 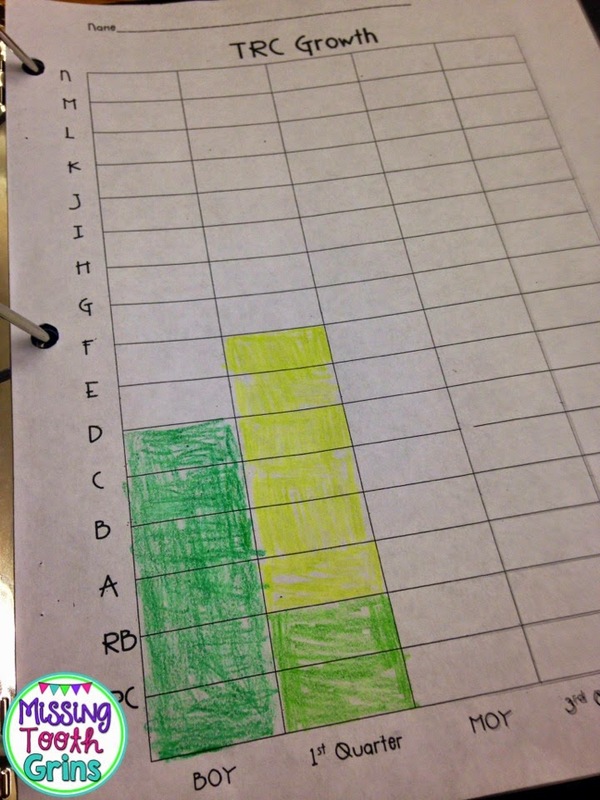 At the beginning of the school year, I was reading on a level D. Now I'm on a level F. I jumped two levels." 4. 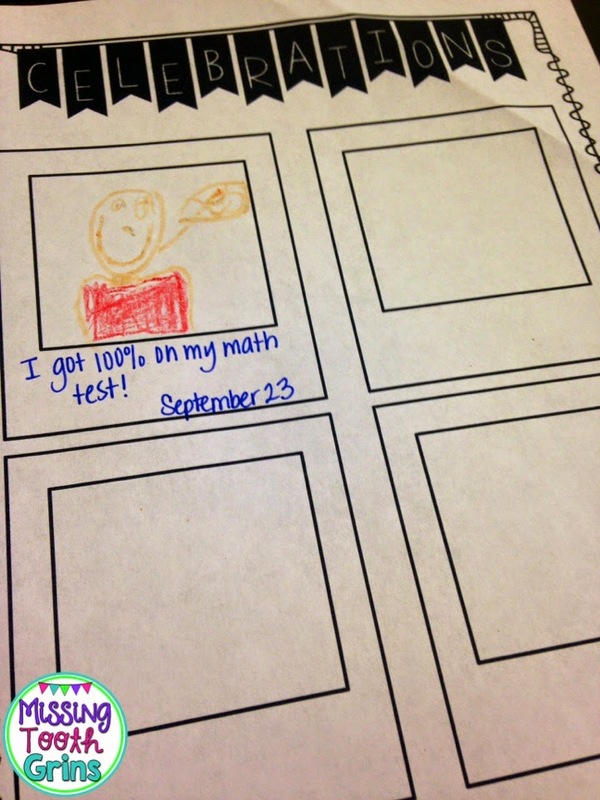 Goals: It's very important for students to make goals, whether you have student led conferences or not. It's also important for students to look back at their goals regularly to determine how they are doing. "My personal goal is I want to be here everyday. My academic goal is I want to be on a level G by Christmas." 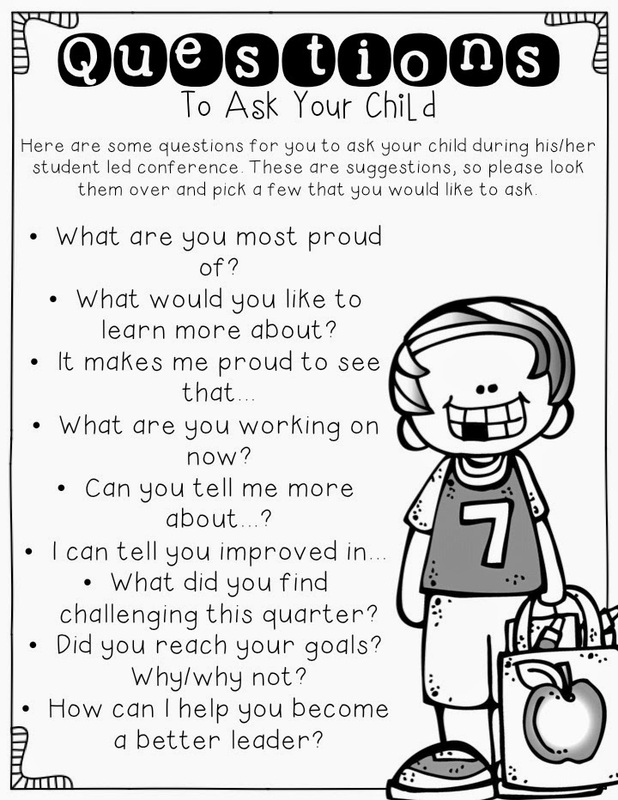 The student also may tell the parents how he/she can help the child reach these goals. Click the picture above to download. 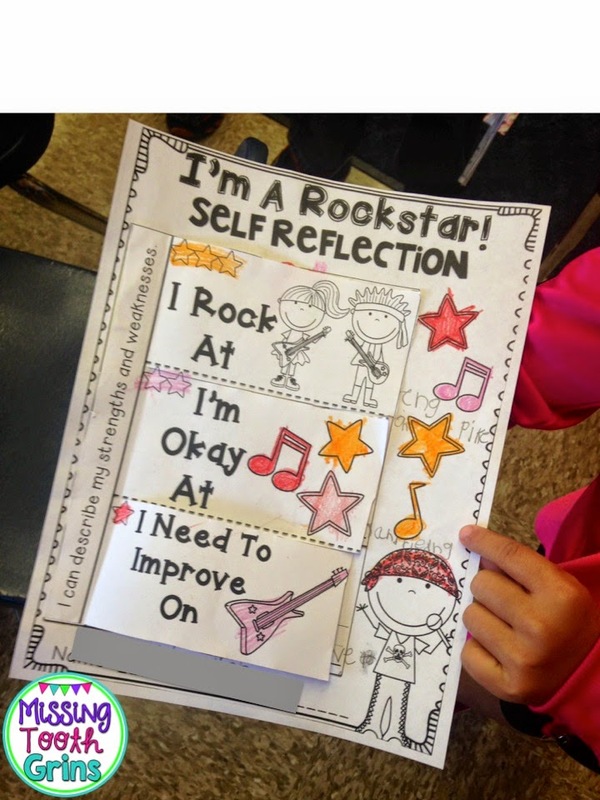 Students also share a reflection of what they feel they rock at, what they feel they are okay at, and what they feel they need to improve. 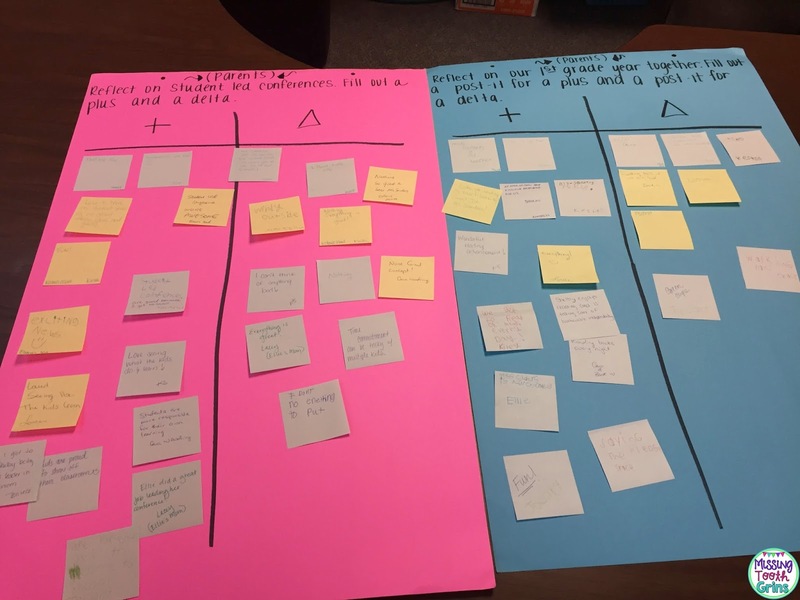 I made it in a flipchart form so that the students had more fun filling it out than just color in the smiley face form. Now, time to talk about how I did SLC's this year. I had a lot of help from one of my teammates on how to run them this year. 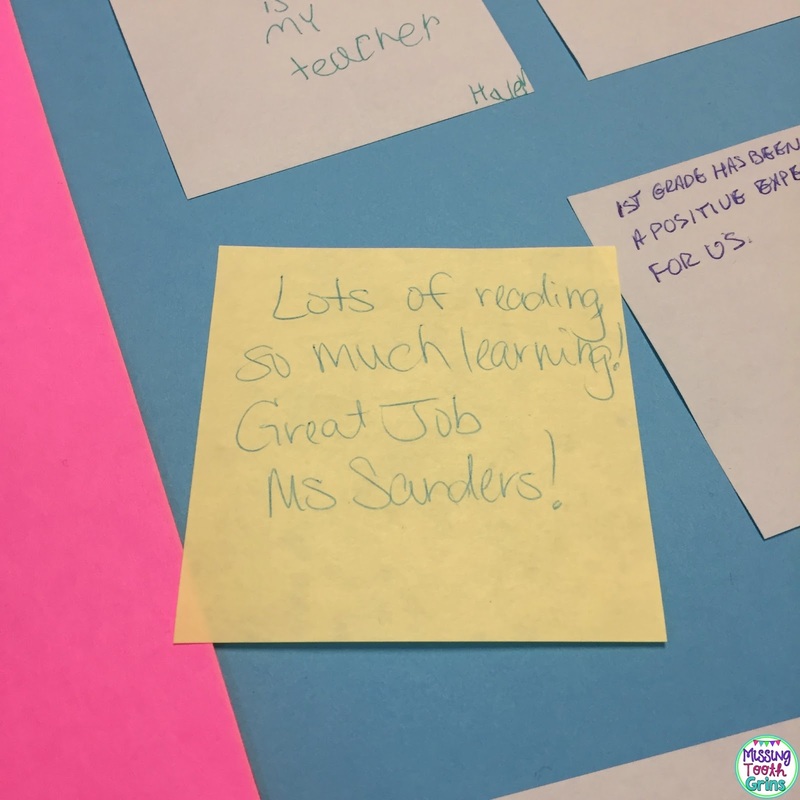 I am so thankful for #awesometeammates that help me become a better teacher! Before my firsties left for the day, they left their desk looking super clean and tidy (#RealLife, you know that doesn't happen everyday, just for guests). They left their data binder, self evaluation from Jodi Southard at Fun In First, and the self reflection from flip book from my Student Led Conference Pack. Students grabbed this lotus chard when they walked in the door. Students made their way around the lotus chart with their parents. What I love so much about this chart is all the different things they got to show their parents about our day-to-day. Many parents gave such positive feedback about how they loved seeing what their child does every day at school. That was seriously so important to them. We kept the biggest parts of our day on our lotus. 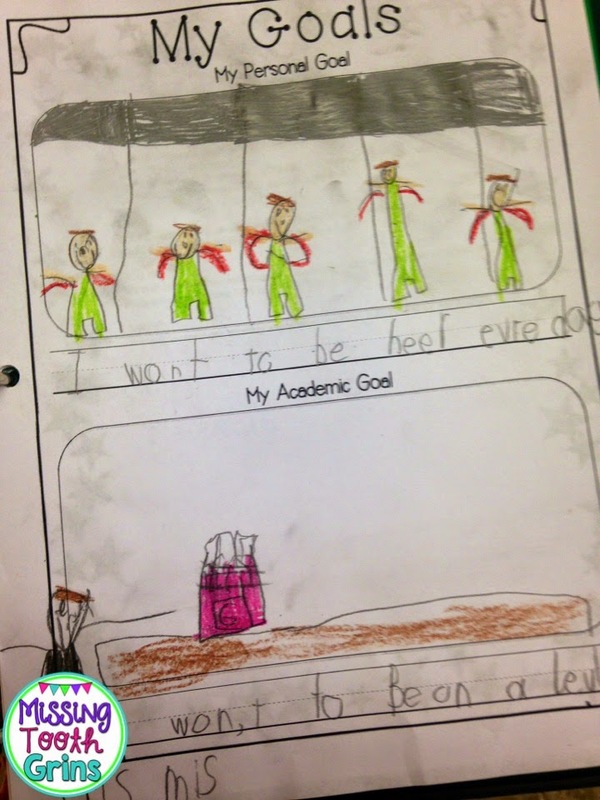 Our goals and data comes from many of the things that my firsties shared with their parents. 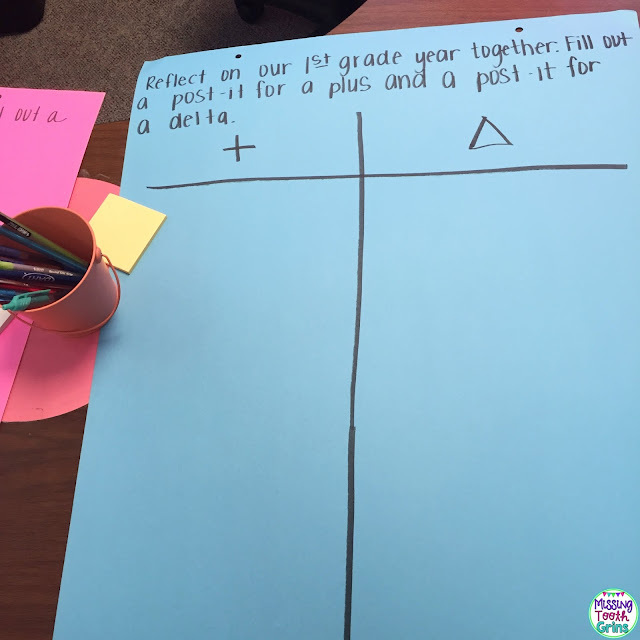 One part that I particularly liked was when the parents filled out the Plus/Delta to reflect on SLC's and on our first grade year together. Some of my kids filled it out too, which made me smile. 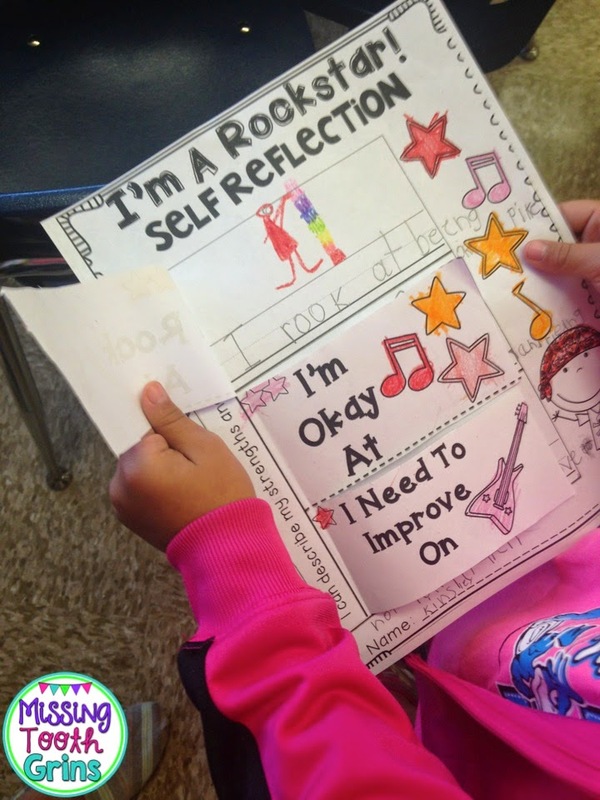 My students loved filling out and sharing these self reflection flip books too. One of the most important parts of getting ready for SLC's is reflection. If a child can't reflect on his/her successes, then he/she will have a difficult time explaining them to someone else. No matter what you do, practice practice practice! Seriously, we practiced for a very long time. I put my students in partners. One was the parent and the other was the child and then they took turns. They even started at the door, grabbed a lotus, and walked up to me and introduced me to their "parent". Seriously, I highly recommend that. "Miss Sanders, do you remember my mom?" and then they would burst into a fit of giggles. So. Stinkin'. Cute. Grab the lotus forms for FREE in my TPT store by clicking here! 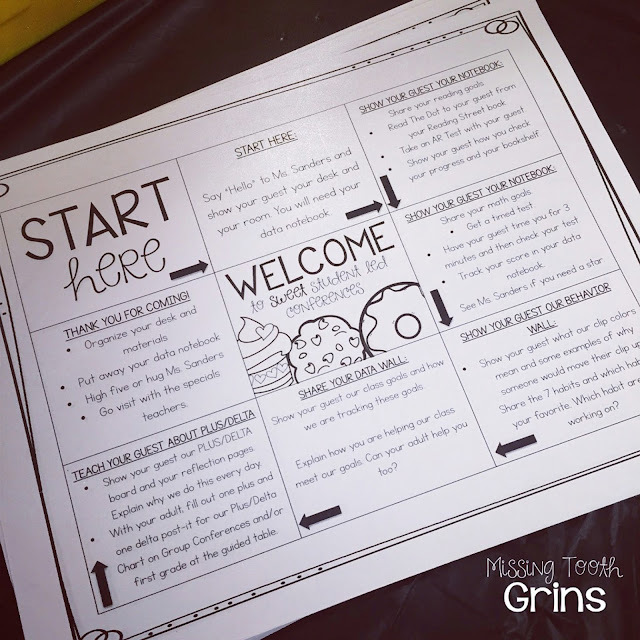 For more ideas on conferences and classroom management, follow my Grin & Manage Your Classroom Pinterest Board! 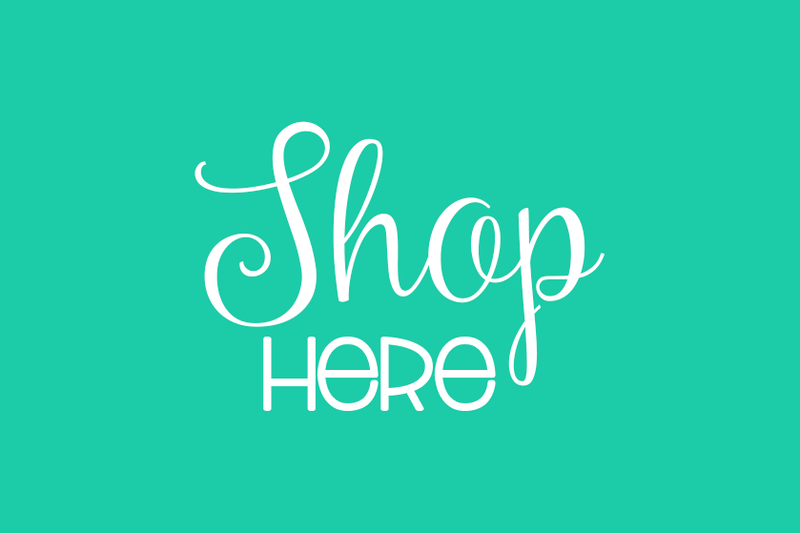 Do you sell the data notebook content pages? 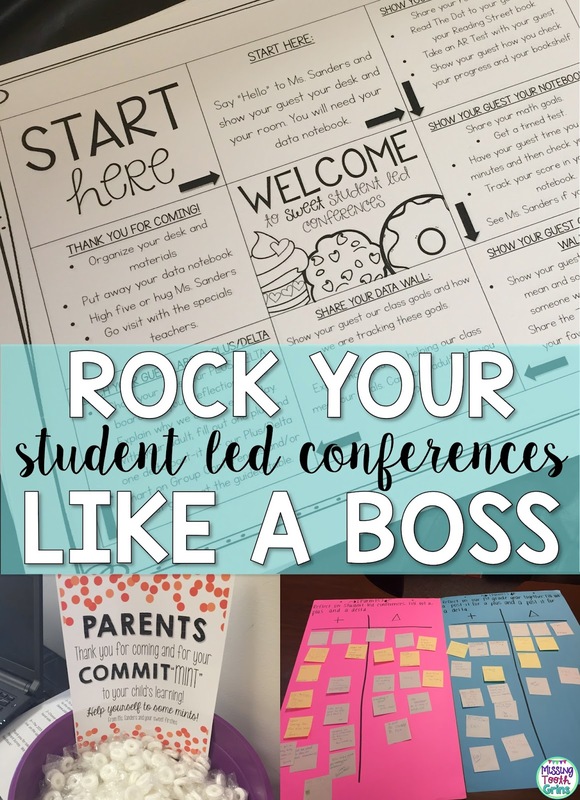 Awesome student led conference ideas!! I enjoy watching my students during these conferences. They really enjoy sharing their accomplishments! Are the behavior logs available anywhere? Love these ideas! Are the behavior logs available? I need this behavior log! 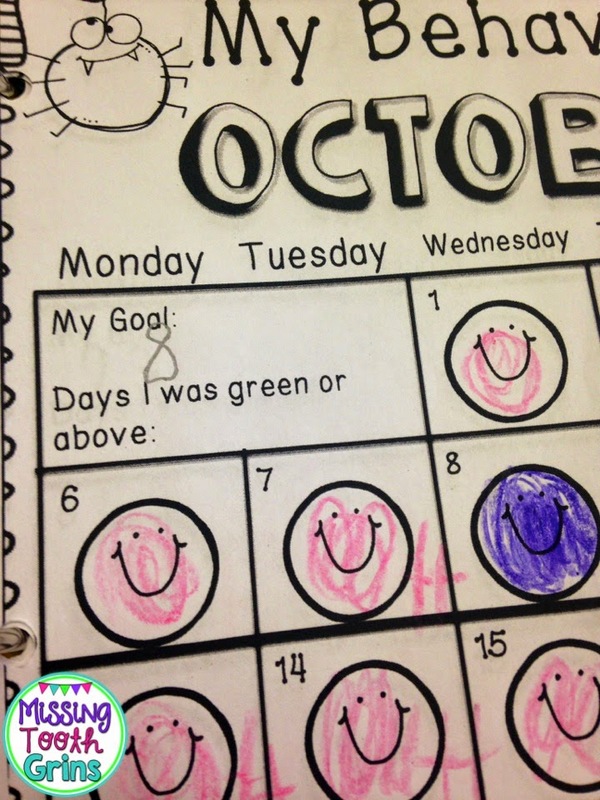 :) And I love the goals that the children set for themselves. Is anything available for use? I'd love to get a copy of the monthly behaviour log! I'd love to get a copy of the monthly behavior log! I've looked through a lot of blogs and sites, and this has defintely been the best post thus far. Thank you! I would like to know where I can get all the forms that you showed. I love your ideas. Thank you. I am looking to purchase just the I ROCK, I am OKAY, I need to IMPROVE doc. Would I be able to do that? Thanks.